Ziyen Energy Acquires Five New Oil Assets in the Illinois Basin - Ziyen Inc.
Ziyen Inc.’s, a Scottish-American Company, is extremely proud to announce it has acquired the mineral rights to 5 additional oil leases in the Illinois Basin. These acquisitions based in Gibson County cover over 364 acres and have been acquired due to their close proximity to the original Ross Lease. Ziyen Inc. now has 18 oil assets in the Illinois Basin with a combined acreage of over 1650 acres. “This is the cumulation of months of hard and diligent work, that we are extremely proud to announce we have acquired five more oil leases. These leases have amazing potential, and are all connected to our most recent lease acquisitions. Working with our local representation in the Illinois Basin, it is very important to note that these leases are strategically placed relative to the rest of our assets. 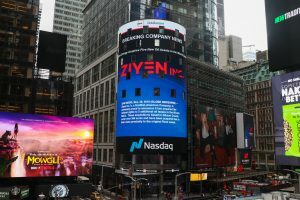 For information on investing in Ziyen Inc., please visit the company website at� www.ziyen.com, or for a copy of the latest company overview, please email� support@ziyen.com.